Last weekend I subbed in for a local bootcamp group called Home Grown Fit (check out their awesome logo). It had been 4 months since I had trained a group (3 months since the London Workshop) and I didn’t know what kind of group I was going to be teaching. It had also been a while since I had run a workout as long as an hour. So I wanted my workout to be easy for me to teach and versatile to match potentially a lot of different fitness levels. I also didn’t know how many people I was going to get, so I planned for a minimum of 4 participants. This workout is definitely small group friendly. Mobility drills from the Strong Inside Out workout. Hamstring rocks, quad stretch, side lunges, reverse lunge and twist, seal jacks. Have people pair with someone of similar fitness level then break them into two handicapped groups. Read more about how to do this here. Teams will aim to be first to complete the following challenges. Complete 300 reps (or 50 reps per person if groups are small) of each exercise. Any order and reps divided any way. First team to finish wins. Leave your cones scattered from the point collector game. Move the teams around 20m away. One person at a time from each team (or two people at a time if you have large teams) must sprint out to the cones, grab one and run back to their team. As soon as all of the cones are collected the teams swap their stack of cones. You can explain that this will happen at the start. This will incentivise them to collect more cones because the more cones they get, the more they will get to give to the other team. Now the race continues, this time as a rep countdown. Starting at the top of their new pile of cones, the entire team must complete the corresponding exercise to each cone in the order that they are stacked. I only had two colours, but if you have more variety you can add more exercises. The first team to finish their stack of cones wins. Set up 5 cones around 10m apart in a straight line. Place two piles of dumbbells at the start cone. Split dumbell pairs between each heap (one 5lb DB here, the other 5lb dumbell there, one 8lb DB here, one 8lb DB here). You want around 4 dumbbells per person. Fitter people will end up doing more then less fit. Every person on each team starts by picking up a dumbbell. Then they must run to the first cone in the line with the DB, do one goblet lunge on each leg, then run to the next cone and repeat until they reach the last cone. After the lunges at the final cone the client reaches the end they place the DB on the ground and run straight back to get another and repeat the process. Teams race to be first to get all their DBs to the other end. This is not a relay. Every person goes at the same time. Once a team has gotten all their dumbbells tot he other end, they must now bring them back. They follow the same method except instead of goblet lunges they do 2x DB shoulder presses on each arm. The first team to get all their dumbbells back to the start wins. Did you enjoy that workout? Are you excited about the new Expendables movie? If you answered Yes to either question then you are going to love our email list. 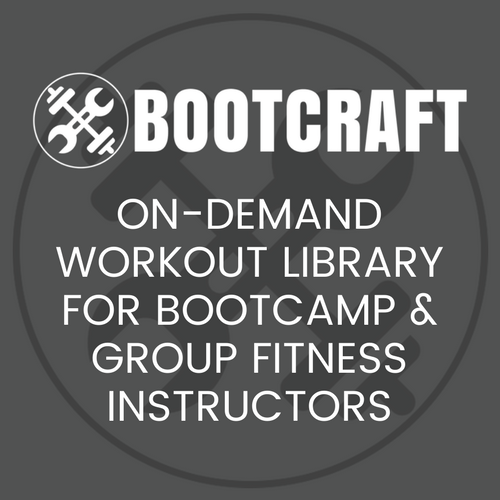 You get updates on new workouts that I post here every week plus a great freebie called the Bootcamp Trainers Toolkit. Pop your email in here, it costs nothing.